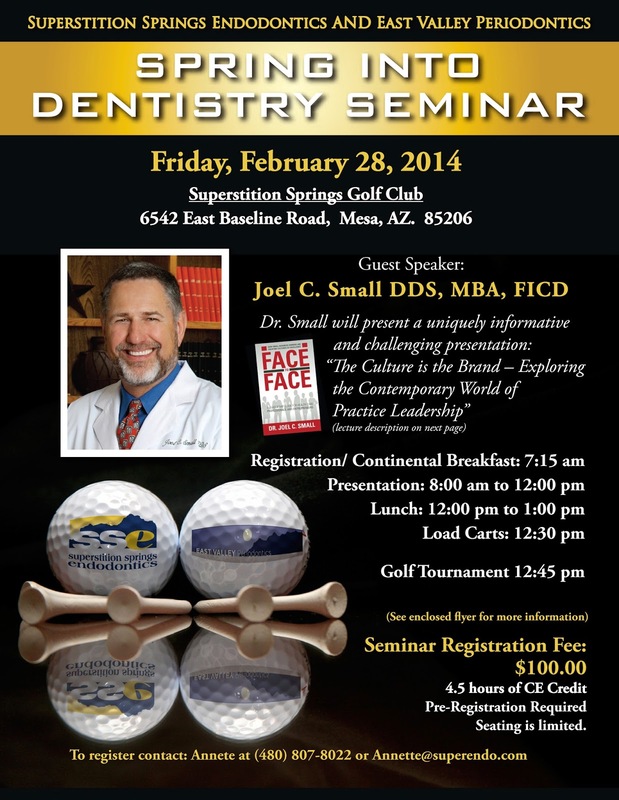 The 10th Annual 2014 Spring Into Dentistry Seminar will feature Dr. Joel Small. 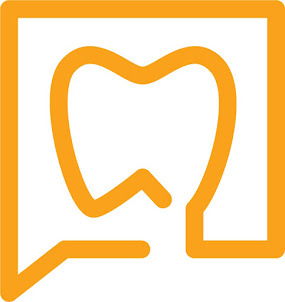 Dr. Small is a practicing endodontist and author of the book "Face to Face". 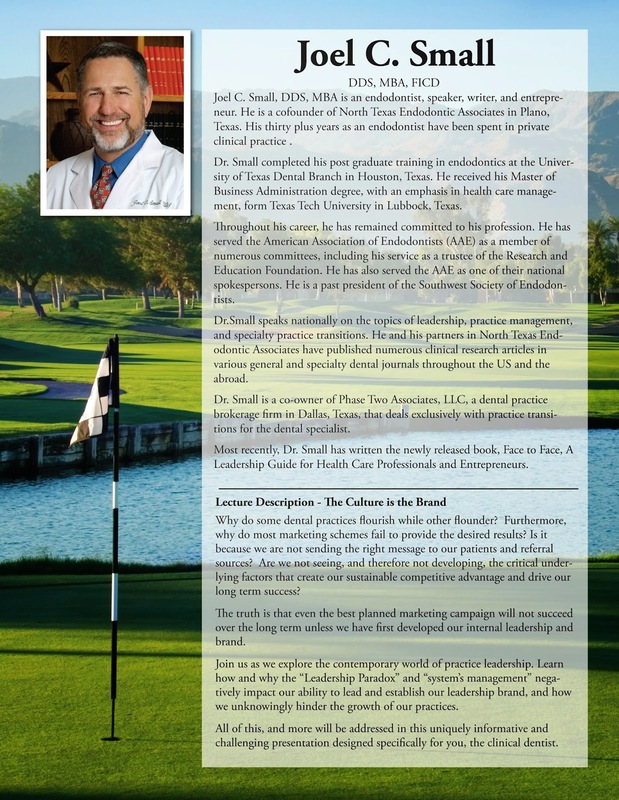 His unique approach to leadership in dentistry is refreshing and focused on the small business and entrepreneur. 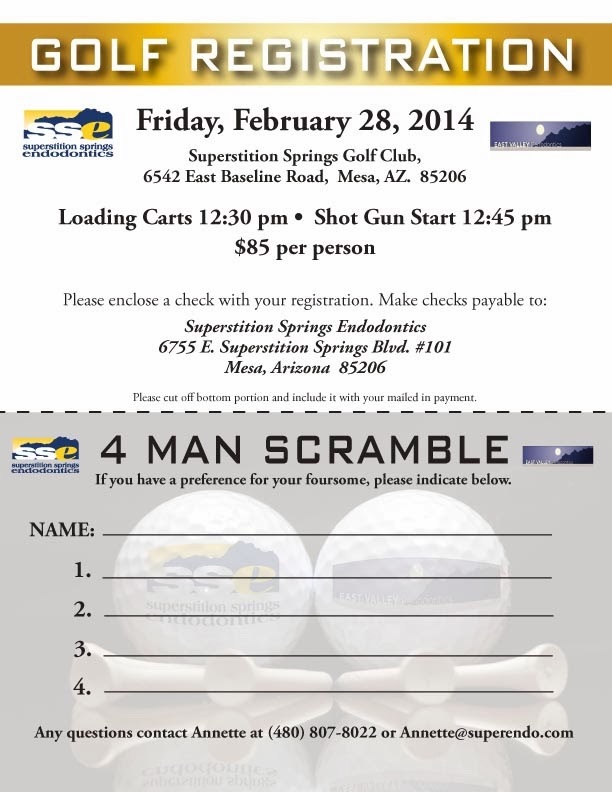 The seminar will be help on Friday, Feb 28th from 8:00am to 12:00pm. The golf tournament to follow is completely optional. Come join us for this special presentation.